Last time around, I wrote about Gray’s claim that religion isn’t meant as “a theory that tries to explain the universe,” but is instead “an attempt to find meaning in events.” And I pointed out one rather obvious problem with this claim — namely, that many do believe in religion as a way of explaining things. But even if Gray were right about the meaning of religion, there would be a problem with his view. Now, I don’t actually see any ambiguity regarding the value of knowledge in the biblical myth, but leaving that aside, if the story does contain an important lesson, that lesson comes at a cost. For, unlike works of fiction, biblical myths implicitly claim to be authoritative. They aren’t meant merely as the opinion or insights of some human author; instead, they are represented as the final word on such matters. After all, they supposedly come from God. But of course, that claim to be authoritative is a lie. Even worse, many of these myths contain “lessons” that are morally problematic. The Garden of Eden story doesn't just say something about knowledge; it also implies that an individual should be punished for the crimes of his or her ancestors (all women for what Eve did, all humans for what they both did, and even all snakes for what the one in the tree did). Those who defend religion as a valuable collection of insights argue that its critics misunderstand its true nature. But the claim that there is something of value in religion should be accompanied by a recognition of what is wrong with it. 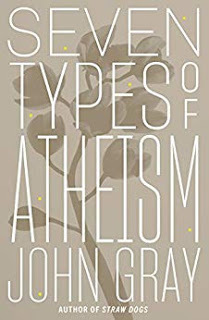 People like Gray want to represent religious belief as harmless, but in doing so they are watering down its true nature.